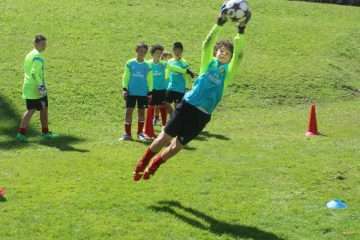 The AC Milan Academy Junior Camp is the AC Milan soccer (football) residential summer camp. 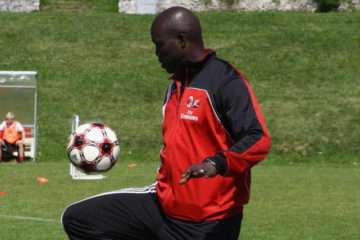 Football Soccer camps in Italy Europe with AC Milan coaches. 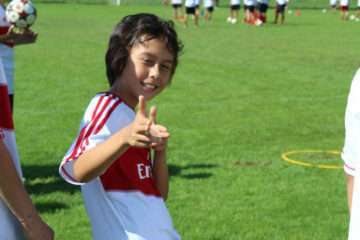 Come to see the pearl of Italy, the city that the whole world envies us, situated just a few kilometres from the locations of our AC Milan Camps. 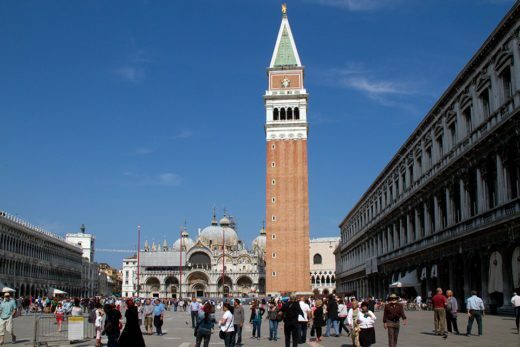 Let you seduce by the characteristics canals that flow through the city and by the quality of its artistic heritage, culminating in San Marco Square with its imposing bell tower and the elegant cathedral. A magical city, an open-air museum that everyone deserves to enjoy at least once in their life. 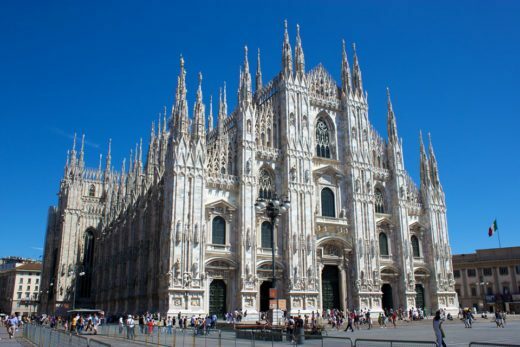 Milan is undoubtedly the European capital of fashion and the city where all the major designers exhibit their masterpieces. The Dome – the Cathedral – is one of the world’s finest examples of Gothic and embellishes the historical part of the city, which also can boast the famous fresco of “The Last Supper”, painted by Leonardo Da Vinci in the sanctuary of Santa Maria delle Grazie. 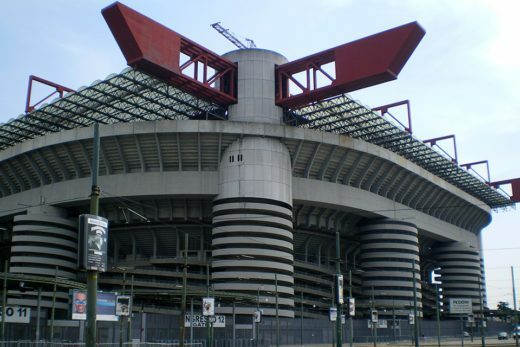 And yet it is a must-visit to the San Siro stadium, a real monument for fans of football, impressive from the outside and unique inside. 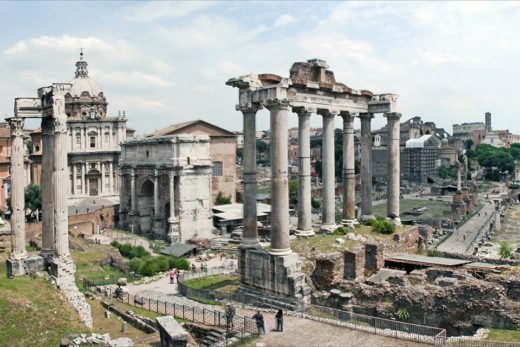 Rome: the Eternal City! 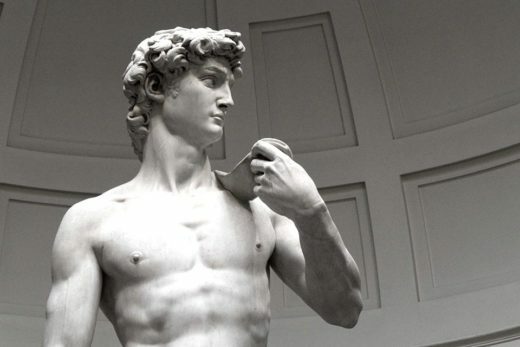 In the course of its three millennia of history was the first great metropolis of humanity, the heart of one of the most important ancient civilizations, which influenced society, culture, language, literature, art, architecture, philosophy, religion, law and customs of the following centuries. 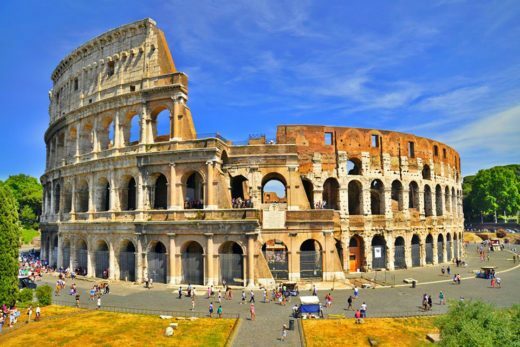 It was the capital of the Roman Empire; from the Colosseum to Fori Imperiali, through churches, palaces and fountains of inestimable value, you will feel like living in the times of the ancient Romans rather than in the Renaissance. 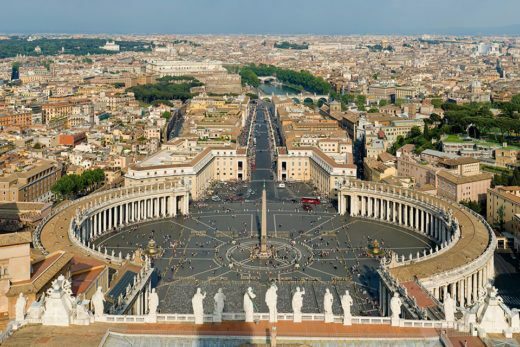 Spectacular are the famous squares of the capital as the Piazza di Spagna, Piazza del Campidoglio or Campo de ‘Fiori, without forgetting St. Peter’s Square, the symbol of Christianity, a place of pilgrimage for millions of faithful from all over the world. 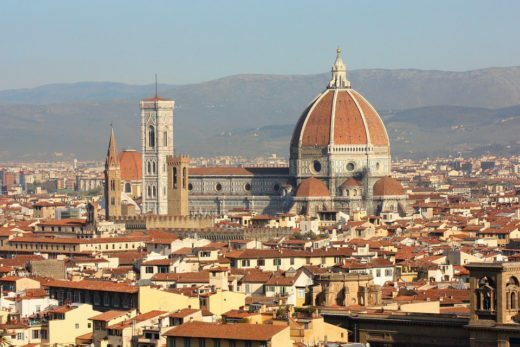 Florence is a charming city, rich in history and art, as well as a place of inspiration for artists, architects and world-famous sculptors such as Michelangelo, Botticelli and Brunelleschi. 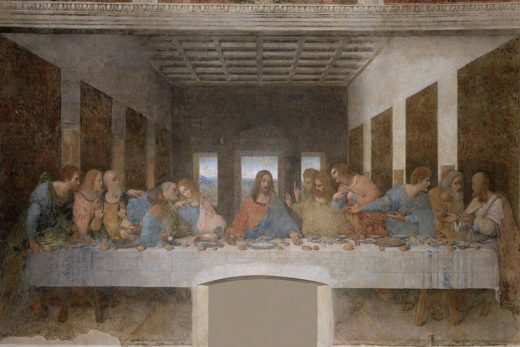 The many museums filled with priceless works of art are just a backdrop to a city where every neighborhood contains a priceless historical and artistic value; unmissable are the Uffizi Gallery, famous for the Venus of Botticelli, and Michelangelo’s David. 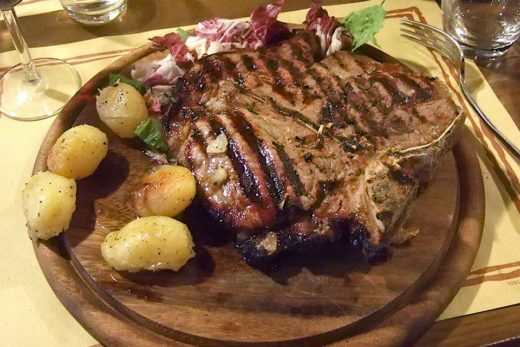 Even lovers of good food remain fully satisfied: Florence in fact offers a variety of food and wine of the highest level with excellent wines and dishes. 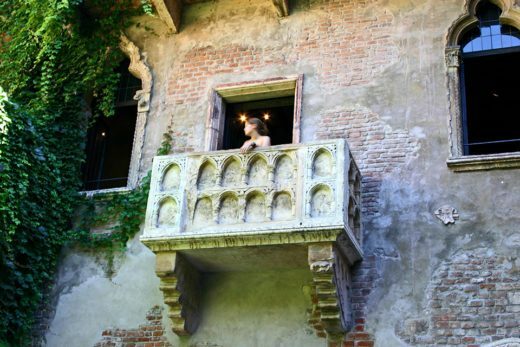 Verona is definitely one of the most romantic cities in the world; it has inspired William Shakespeare to give life to the famous love story of Romeo and Juliet. 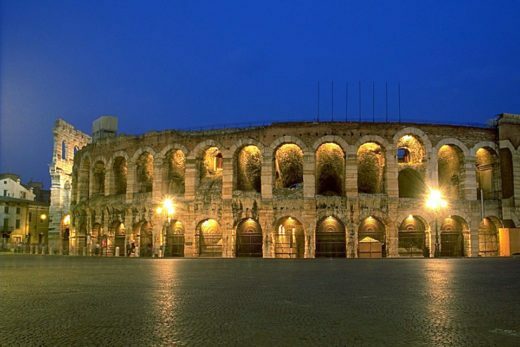 In Verona stands majestically Arena, wonderful Roman amphitheater beautifully preserved and today home to numerous international events as opera shows and rock concerts: in the past Luciano Pavarotti, Maria Callas and U2 performed here! 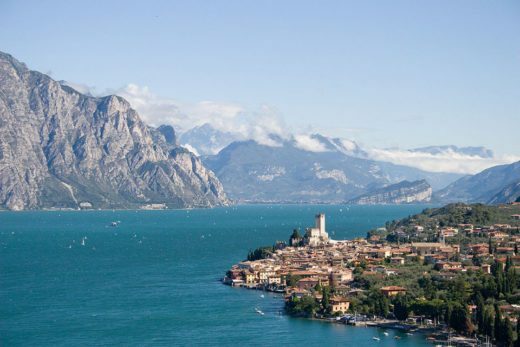 The city is located just steps from the Garda Lake, an ideal place for lovers of the temperate climate and water sports as well as for those who want to immerse themselves in the scents and colors of the surrounding landscape, so that the web-site Youth Travel in 2011 placed it in the list of the 12 best lakes in the world (7th). 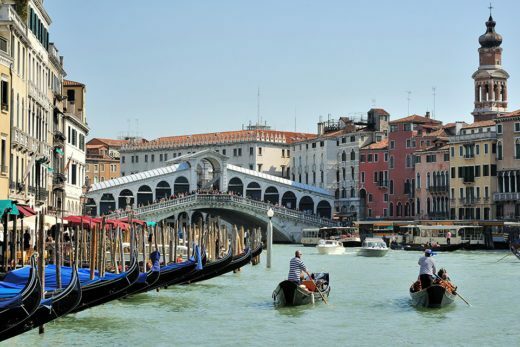 Situated in the north-east of Italy, Veneto extends from the Dolomites to the Adriatic Sea, by way of an expansive range of hills and a valley furrowed by rivers, canals and the Po delta. The typical scenery of the Veneto coast is the lagoon, and, right on this very lagoon stands a city unique in all the world – Venice, visited by thousands of Italian and foreign tourists every year. 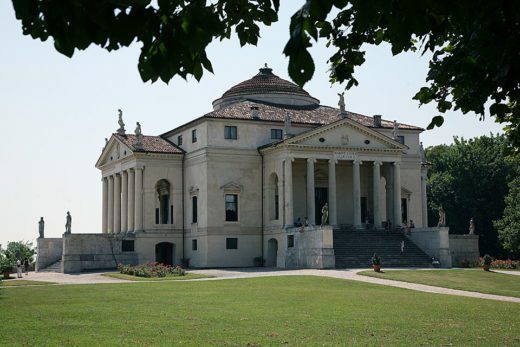 Yet Veneto, a region with a thousand different faces, is the custodian, also on dry land, of natural, artistic, and traditional treasures. 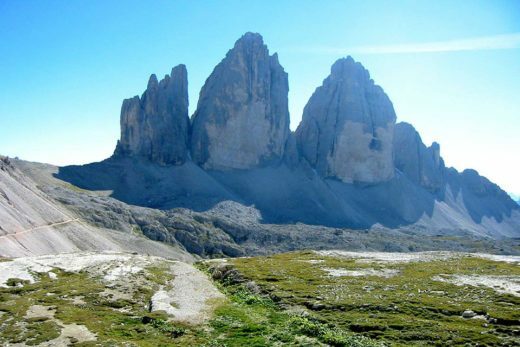 Veneto boasts an extraordinary variety of scenery: the Dolomites, dipped in the crimson shades of the sunset, the eastern side of Lake Garda with Peschiera del Garda, Torri del Benaco and other tourist destinations. Then there are the long, sandy beaches, alternating with well-known resorts such as Jesolo, Bibione, Cavallino and Caorle. In this spectacular natural setting is a rich cultural heritage that makes Veneto a particularly fascinating region, from its cities of art to the magnificent “Palladian villas” scattered along the Brenta Riviera, up to the small villages of Arquà Petrarca, Monselice, Asolo and Bassano del Grappa which bring together the most typical aspects of this many-faceted region. Veneto is also an ideal destination for a comfortable relaxing holiday , thanks to the thermal waters with their valuable therapeutic properties: the gentle slopes of the Euganean Hills are home to the well-equipped facilities of the Euganean Spas, for example Abano, Montegrotto and Teolo, where you can combine treatments and therapies with pleasant trips out in the surrounding area. 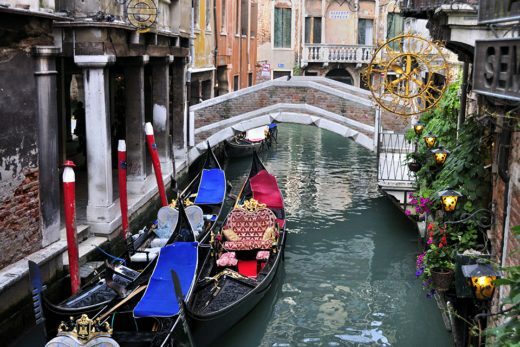 The provinces of the region are: Venice (regional capital), Belluno, Padua, Rovigo, Treviso, Verona and Vicenza.